Current World Heavyweight Champion of the world, Anthony Joshua has promised to do better than both Tyson and Holyfield. The Nigerian boxer who defeated Wladimir Klitchko at Wembley in April to become undisputed Champion in the category is all too aware of the pitfalls that crippled those two superstars' life post retirement. Even though Tyson and Hoyfield were successful in the ring and made a lot of money from their successes, they soon squandered it outside the ring, with Tyson filing for bankrupcy in 2003 while Holyfield had to sell his belongings to escape the same fate. Joshua insisted he was all too aware of their pitfalls and was planning on managing it better than they did. He said: "The Tysons, the Riddick Bowes, the Holyfields, we all know their stories outside the ring and I have always wanted to manage that. We have been working on it for three years so it's not much of a shock. If you suddenly win the world title, all these opportunities can come your way." 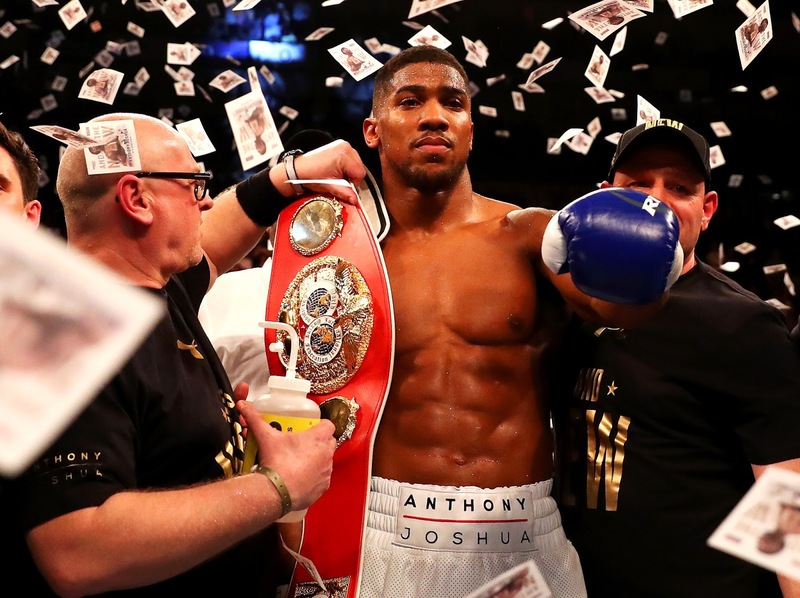 Joshua, as the shining light of the new generation of superstar boxers now earns 8 figure fee for his bouts. The heavyweight decider against Klitchko earlier this year was sold out at Wembley. Speaking with The Guardian the boxer said: "I'm going to keep it humble because there's still people in this sport that I look up to.."
Here is hoping he keeps to his word and manages his finances the right way.